Set on a sleepy horseshoe bay on Antigua’s scenic, lush, and undeveloped southern coast, and surrounded by volcanic mountains and an emerald green rainforest, the Carlisle Bay Resort is an award-winning, 5-star hotel that is sophisticated and contemporary in style, and known by its guests for its unpretentious, yet elegant and detailed customer service. According to the resort’s General Manager, John Rogers, the property was originally developed in 2001, by the Ireland-based construction company, Harcourt Developments, and became a hotel two years later. 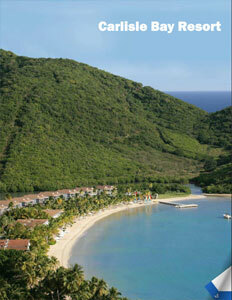 Over the years, Carlisle Bay has grown and expanded with the addition of new suites, restaurants, and amenities. Approximately 65 percent of its guests hail from the United Kingdom, followed by the U.S. and other markets. The resort has no regular guestrooms; all of its accommodations are suites. “We’ve refurbished three suites that will come online this fall,” says Rogers. “They were owner suites, in the past, and we’ve taken them back and put them back in our pool. So, the key count will go from 82 to 85.” By day, every room is filled with sunshine from sea-facing, floor-to-ceiling windows opening onto private terraces and balconies, with many rooms leading directly onto the beach. Others have lawn and far-reaching ocean views. Some suites work best for couples; others are for families. The resort has five different suite options: Garden Suites are spacious, split-level rooms with an open-plan bedroom and sitting room. Views are predominantly of the gardens, which are full of tropical foliage, with partial views of the turquoise Caribbean waters; Ocean Suites are located on the calm end of the beach. They are split-level and have an open-plan, bedroom-sitting room. They also have exceptional sea views, and have an uncluttered, luxury design; the newly created Bay Suites are ideal for couples – private butler service, a vodka & rum bar set up, and Temple Spa luxury bath products are just a few of the enhanced suite amenities; Beach Balcony and Beach Terrace Suites have a sitting area plus a separate study or second bedroom; and the large Carlisle Suites include three bedrooms and large private terraces, making them perfect for large groups or families. Carlisle Bay also offers its guests a wide range of activities and services including many non-motorized water sports such as sailing, kayaking, snorkeling, windsurfing, and paddle boarding. All motorized water sports such as waterskiing, wakeboarding, and tubing take place in a neighboring cove in order to preserve the tranquility of the bay. The Blue Spa is a large facility with six treatment rooms, a sauna, plunge pools, a hair salon, a juice bar, and a state-of-the-art gymnasium staffed by a team of personal trainers. The Spa menu includes facials, massages and scrubs. Carlisle Bay’s Yoga Pavilion is set in the property’s lush tropical gardens and offers both yoga and Pilate’s classes. The resort’s Screening Room is a fully equipped multimedia space with DVD projection, 5.1 Dolby Digital Surround sound and an adjustable screen (widescreen to cinemascope) accommodating up to 45 with midnight-blue, Italian-made seats. 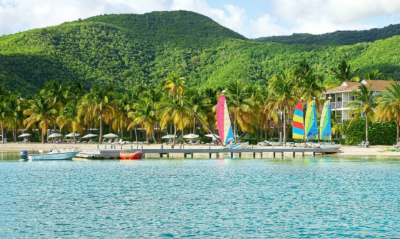 Since one of Antigua’s main draws is yachting and sailing, Carlisle Bay provides sailing lessons for beginners and experts alike aboard the hotel’s own boats. Boat charters allow guests to explore all of the island’s 365 beaches as well as its surrounding waters. “We do have a new boat that’s going to be arriving for guest transportation,” Rogers adds. “Day trips, half day, picnic tours, and sunset tours.” The resort also offers daily, guided nature hikes and tours. Almost unique among Caribbean hotels, Carlisle Bay has nine, well-maintained tennis courts, including four which are floodlit for cooler, night-time play. Rackets and balls are provided on a complimentary basis and professional instruction is available for all levels. 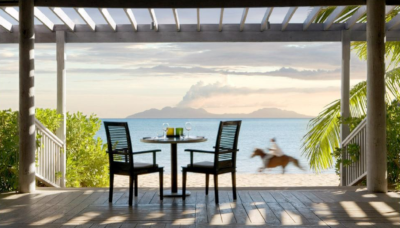 According to Rogers, one of the resort’s differentiating selling points is the fact that it offers four distinctive restaurants, as well as personalized beach dining. The Indigo on the Beach restaurant has local grilled sea-food, crisp salads, home-made breads, and pastas; East offers Japanese, Thai, Indonesian, and Balinese specialties; Ottimo! is a casual, Italian venue serving classic dishes; and the Jetty Grill is an adult’s only restaurant located adjacent to the beach. “To have those four restaurants,” says Rogers, “in addition to beach dining and room service provides quite a variety in terms of dining options.” The resort also has four distinctive bar/lounges: the Pavilion Bar, the Indigo Bar, the Coconut Grove, and the Jetty Bar. 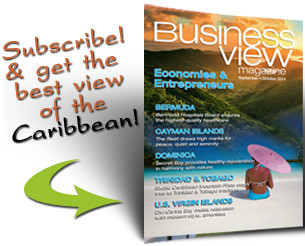 Like many Caribbean resorts, Carlisle Bay closes down for five to eight weeks during the period between late August and middle to late October. This is usually the time when upgrades and improvements are slated for completion. 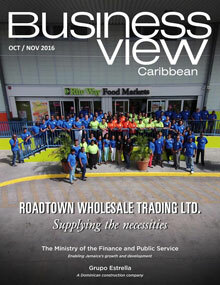 This past year, Rogers reports that the resort completed room refurbishing and an extensive upgrade of its public areas, including all new daybeds and umbrellas on the beach and pool areas, and a new, robust wireless service which now provides guests with seamless streaming all over the property. Current maintenance includes upgrading roofs and freshening up the main swimming pool. With a wonderful beach in a secluded bay, four outstanding restaurants, an exceptional spa, and a philosophy founded on generous service, Carlisle Bay, a member of Leading Hotels of the World, is a modern Caribbean classic instilled with genuine West Indian conviviality. 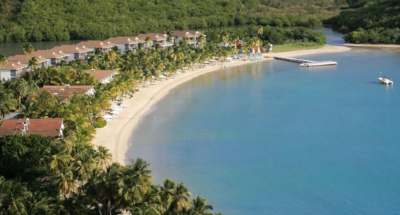 Check out this handpicked feature on the Langley Resort Fort Royal in Guadeloupe.